​AddSecure-owned Vehco appoints new CEO to strengthen operations and continue European expansion. Johan Frilund will assume the role on March 1, with main focus to position Vehco in the new connected ecosystem that emerges within the Transport and Logistics industry. On February 18,2019, Contal Security AB changes company name to AddSecure Smart Rescue AB. Contal has previously been part of AddSecure and now goes under the same brand. AddSecure-owned Vehco acquires Finland’s leading Fleet Management company, Paetronics Oy to strengthen Nordic footprint. Through the acquisition, AddSecure and Vehco further strengthens their positions in Finland, at the same time as Vehco pursues its growth strategy and vision of becoming the number one FMS supplier for heavy truck companies in Europe. AddSecure-owned Chiron Security Communications, a leading provider of solutions for alarm transmissions via IP (Alarm over IP – AoIP), today announces that it changes its name to AddSecure. AddSecure strengthens Corporate Management Team with new CHRO, Liljana Vall has filled the newly created position. On August 30, 2018, Smart Grid Networks’ company name changes to AddSecure Smart Grids. Smart Grid Networks has previously been part of AddSecure and is now under the same brand. At the same time, the company is expanding its international activities in smart grid technology. AddSecure-owned Fleet Management Systems provider Vehco, today announced that it has acquired Groeneveld ICT Solutions, a leading Dutch supplier of telematics and transport management software. AddSecure names Hannu Kupila Country Manager Finland. Kupila’s successful track record will help the Company accelerate its growth in Finland. AddSecure appoints Magnus Lengdell new CTO. Lengdell will, with his extensive experience play a key role in delivering the strategic technology plan focusing on digital innovation within secure critical Communications. The AddSecure Group acquires leading European Fleet Management specialist Vehco to support continued expansion and IoT growth plans. The acquisition will further strengthen the AddSecure Group’s position as a leading international provider of secure critical communications, and realising Vehco’s extensive growth within telematics for fleets with commercial vehicles. AddSecure appoints Anna Börjesson to new CMO role with responsibibility for the AddSecure Group’s global marketing and Communications as the company expands across international markets. Now car owners can get warnings about real-time road conditions thanks to a connected device and the app "Halkvarnaren" (slippery road alert). Car owners get real-time alerts about icy, slippery roads and poor road quality and accidents can be prevented. 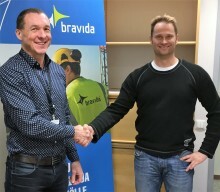 AddSecure strengthens its Swedish sales organisation. 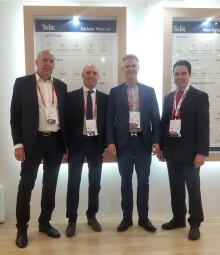 Magnus Hammarsten has today been appointed new Sales Manager for Alarm Communication and Olof Samuelsson assumes the role of Sales Manager IoT. In addition, Mats Genberg, Country Manager Sweden, becomes a member of AddSecure's Management team. 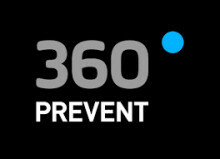 AddSecure to acquire the alarm communications business of Prevent 360 to further strengthen its position as a leading European player in the secure critical communications sector. 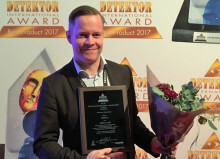 AddSecure awarded “Best Innovative Achievement within IoT Security” by the Detector International jury for AddSecure Link, a secure IoT communications platform.